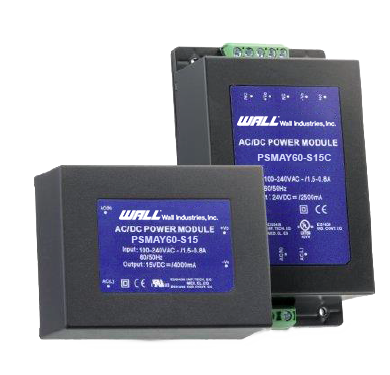 The PSMAY60 series of medical and industrial AC/DC power modules offers 60 watts of output power in a compact PCB, Chassis Mount, or DIN Rail mount package. This series consists of single output models with a universal input range of 85~264VAC in a fully encapsulated plastic case. Each model in this series has over voltage, over load, and short circuit protection, is RoHS & REACH compliant, and has medical and industrial safety approvals. Notes: 1. This product is not designed for use in critical life support systems, equipment used in hazardous environment, nuclear control systems or other such applications which necessitate specific safety and regulatory standards other than the ones listed in this datasheet. 2. 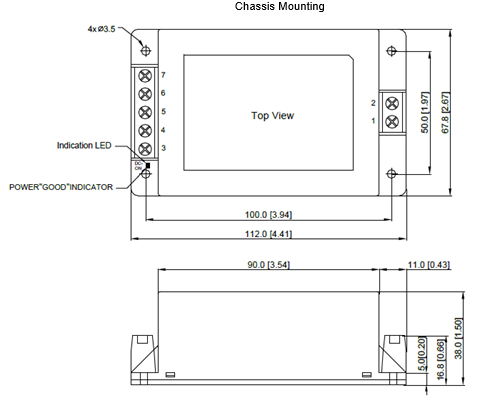 Chassis Mount and Din Rail mounts are available for this series. To indicate chassis mount option, add “C” to end of model number. 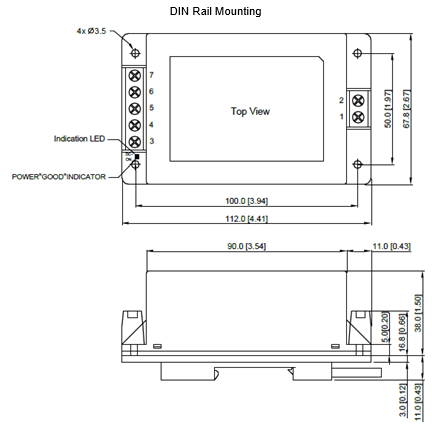 To indicate Din Rail mount option, add “D” to end of model number. 3. 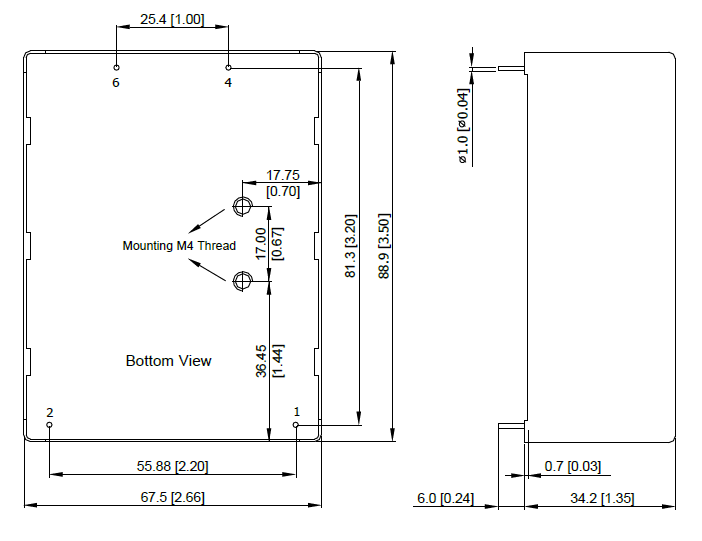 Ripple & Noise of PCB mounting type measured with a 0.1µF/50V MLCC and a 1µF/50V aluminum electrolytic. 5. Natural convection is about 20LFM but is not equal to still air (0 LFM). 6. Safety approvals cover frequency 47-63Hz. 7. It is recommended to protect the converter by a slow blow fuse in the input supply line. 8. Other input and output voltage may be available, please call factory.